Chinese Taipei boosted their prospects of qualification at the Asian Football Confederation (AFC) Women's Futsal Championship after beating Malaysia in Group B. The two teams had differing results on the first day of competition as Malaysia had overcome Bangladesh, while Chinese Taipei were edged by Vietnam. Malaysia took the lead in their head-to-head battle at the Bangkok Arena, Siti Asnidah Zamri finding the net early on. The match swung when Norhawa Yasin was shown a red card for handling Chen Ya-chun’s goalbound shot, with the Chinese Taipei player then successfully converting the penalty. Wang Shu-wen completed the turnaround early in the second half, with Hsieh Pei-fen and Kuo Tsu-erh then giving Chinese Taipei a 4-1 advantage. A strike from Zurain Kamarudin proved only a consolation for Malaysia, as they fell to a 4-2 defeat. The victory places Chinese Taipei above Malaysia in the Group B standings led by Vietnam. They secured their second win of the competition by beating Bangladesh 7-0, moving them to the brink of qualification for the knockout stage. Hosts Thailand played out a 1-1 draw with Indonesia at Indoor Stadium Huamark. The result keeps both teams in the top two positions in Group A.
Hong Kong claimed a 7-0 win over Macau to close the gap to just one point, with their final group match against Thailand set to be pivotal to qualification. Group C and D are due to resume tomorrow with their second matches. TEHRAN – Iran started the AFC Women's Futsal Championship 2018 on a high note on Thursday. Team Melli defeated Turkmenistan 14-0 in Group D in Bangkok, Thailand. Fatemeh Etedadi found the back of the net five times in the match. Fereshteh Karimi and Fahimeh Zarei both scored a hat-trick while Nastaran Moghimi, Sara Shirbeigi and Arezoo Sadaghianizadeh scored one goal each. Title-holder Iran will meet Uzbekistan on Monday. 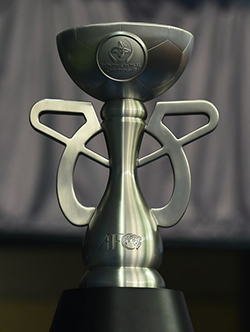 Iranian women's futsal team claimed the title of the first edition which was held in Malaysia in 2015. The second edition is being held in Bangkok, Thailand from May 3 to 12.